With continuous rising of crude oil price, how to make fuel from plastic waste has been attended by many countries. Plastic material is a kind of polymer compound as well as large molecular organic matter, so we can get useful small molecules (oil, gas substances) by interrupting its macromolecular structure. 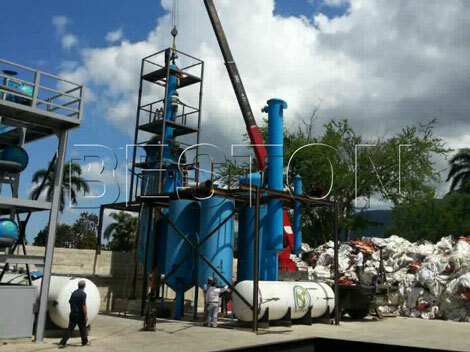 Making fuel from plastic waste adopts the most advanced pyrolysis technology, which is a thermochemical decomposition of organic material at slevated temperature. It involves the simultaneous change of chemical composition and physical phase, and is irreversible. Pyrolysis refers to pyro (fire) and lysis (separating). 1. 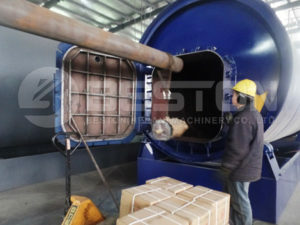 Feed the dried plastic waste into pyrolysis reactor by auto-feeder or manual. Then sealed the door and open the heating system. 2. The reactor is heated slowly. When the temperature reaches 100℃ to 250℃, the light oil shall be released at 100℃ and the fluid oil shall be released at 120℃. From 250-280℃, it is the top output rate interval. 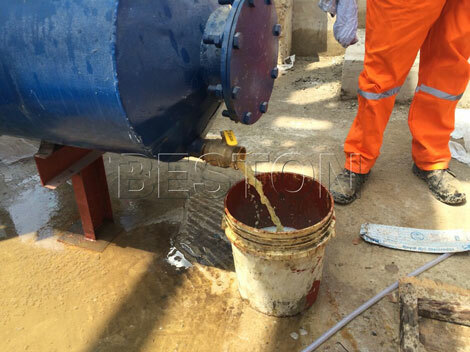 The oil gas is collected into manifold, while the heavy particles and oil are gathered and liquefied in center of manifold and drop down into the heavy oil tank. The lighter gas will rise up to the multifunctional oil condensers, and then will be liquefied into oil and stored in the oil tank. The incondensable gas through desulfuration and dedusting by hydroseal will be led to the pyrolysis furnace for recycling. 3. Cool down the reactor. The resulting carbon black will be discharged when the temperature reaches at 40℃. 4. Further reprocess the fuel oil by distillation plants, and then we will get diesel oil. 1. The oil ratios also differs from the water percentage. For example, wet leftovers of paper has 15-20% oil yield, while dried leftovers of paper has 60%. 2. The operating systems of the plant also affect the oil yield. 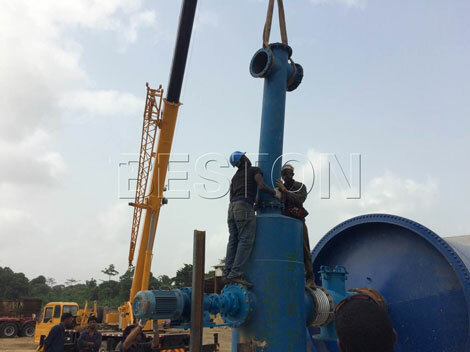 We have designed the plastic to fuel plant into three operating systems, batch, semi-continuous, fully continuous. The oil ratio is fully continuous>semi-continuous>batch. If you want detailed info about the technology of making fuel oil from waste plastic, please don’t hesitate to contact us at any time.